Happy New Year everyone! 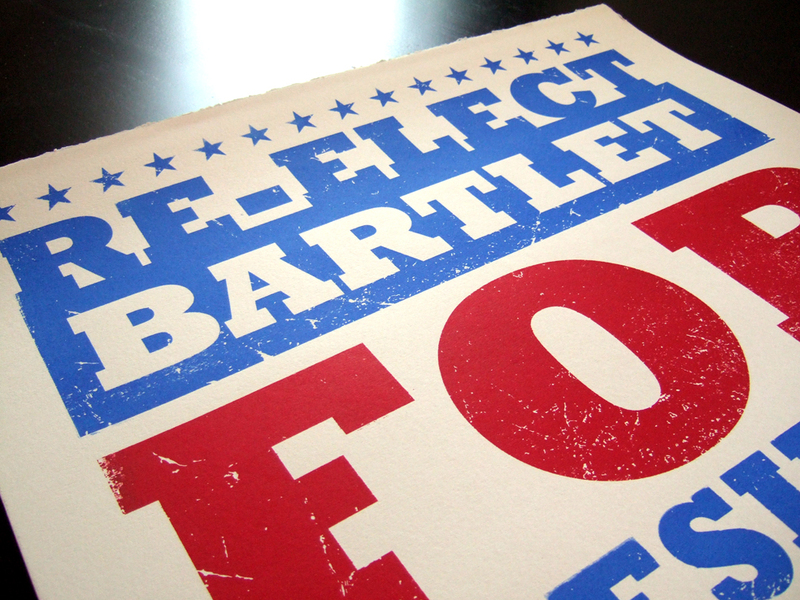 Well this is the first of a series of new print projects planned for 2012, so keep checking back for up-dates! 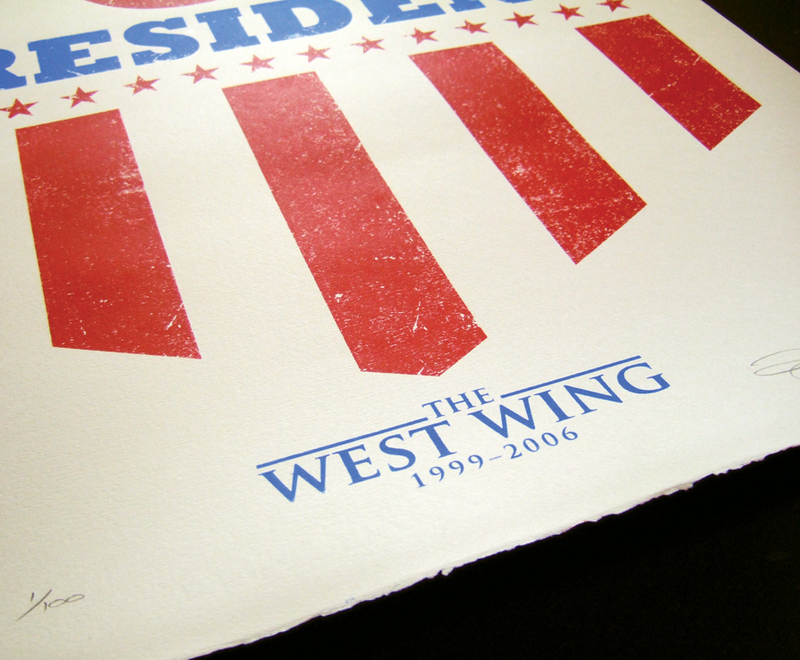 At the time of this post I’m watching (not for the first time), in my opinion the best American TV drama series ever! If you’ve seen it you probably understand and if you haven’t, I highly recommend checking it out! It’s by no means perfect and it does suffer from moments of ‘cheese’ but it’s still a classic. This 2 colour hand pulled screen print is the largest I’ve attempted so far and measures 50cm x 70cm (approx) and is printed on high quality acid free 220gsm Fabriano Rosaspina art stock which has a deckled edge on the top and bottom. Each print is signed & numbered and I’m only going to be printing 100 of these so once they’re gone they’re gone! Enjoy! Posted in Prints. 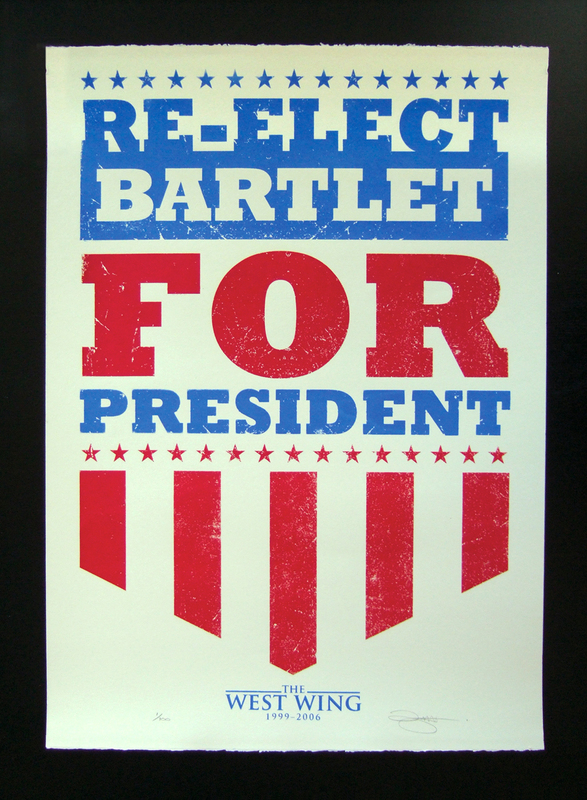 Tagged with Bartlet, Democrats, Election, Martin Sheen, Obama, Politics, President, Screen print, Screenprint, The West Wing.